Independence - | A.B.E. Remodeling, INC.
ALL OF US HERE AT ABE REMODELING, INC. 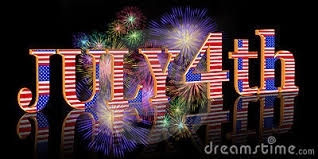 WANTS TO TAKE A MOMENT AND WISH YOU AND YOUR FAMILIES A SAFE AND MOST ENJOYABLE JULY 4TH. CELEBRATE AND HAVE A GREAT TIME BUT BE SAFE. RAISE YOUR GLASS TO INDEPENDENCE!! Here's a little refresher on the description of Independence day. Independence Day of the United States, also referred to as Fourth of July or July Fourth in the USA, is a federal holiday commemorating the adoption of the Declaration of Independence on July 4, 1776, which was the date the United States formally declared it's independence from Great Britain in order to achieve freedom from British rule. Independence Day is commonly associated with fireworks, parades, barbecues, carnivals, fairs, picnics, concerts, baseball games, family reunions, and political speeches and ceremonies, in addition to various other public and private events celebrating the history, government, and traditions of the United States. Independence Day is the National Day of the United States. Independence Day itself has nothing to do with the military, or soldiers. WITH THAT SAID.... HAVE A WONDERFUL HOLIDAY.